Overwhelmed by indiscriminate surveillance, digital harassment, or security leaks of personal identification? You are not alone! Our cryptoparties at Brooklyn Library are a space for people of all technical skills to share skills and learn from each other about online privacy protection. The online world can be feel like a free and open space. Yet, it is controlled by only a handful of major Internet Service Providers (ISPs). While we grow to rely on the web for our work, education, and our social life, we also become more reliant on these companies. What makes them the most hated companies in the US? 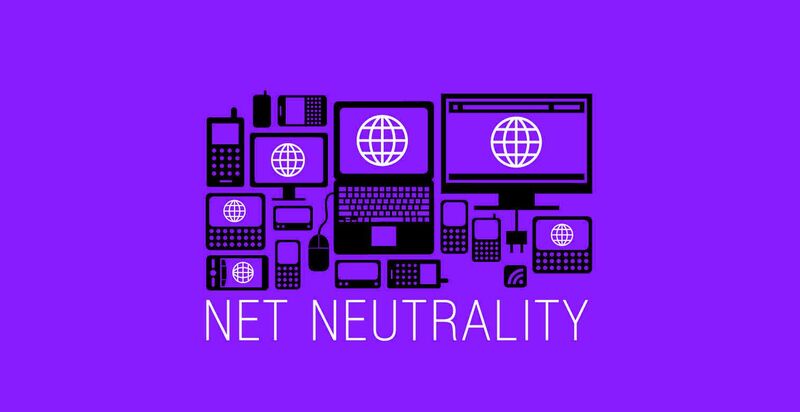 Why did they kill Net Neutrality? How do they snoop on their users? What alternatives are out there? If any of these questions resonate with you, then join the CyPurr Collective at the Info Commons Lab of the Brooklyn Public Library Central Branch as we go over the structure of the net and how to defend your privacy. Come on by and get advice on your cybersecurity and hardware problems, or just come to meet n' greet with other folks to chat about the big digital issues of the day! Snacks and children are welcome. Open to beginner and seasoned techies alike! The CyPurr Collective is a group of tech-minded folks who are jazzed about cybersecurity, cats, and helping others out with their digital dilemmas. We offer workshops for activists, journalists, educators, and anyone who wants to learn more about bein' safe on the Net. The CyPurr Collective is a group of some tech-minded folks who are very jazzed about cybersecurity, cats, and helping folks out with their digital dilemmas. We offer workshops for activists, journalists, educators, and everyday folks who want to up their encryption game! 2/3 to Grand Army Plaza or Eastern Parkway/Brooklyn Museum, or B41 bus. The Info Commons lab and other parts of the library (including bathrooms) are wheelchair accessible. Privacy is the space in which ideas are developed, to retreat into whenever you want. This space is not only physical but digital as well. Governments and companies don't want to respect that so we become active ourselves. CryptoParties are free and open for everyone, but especially ​those without prior knowledge, who haven't yet attended one. What is The CyPurr Colective? The CyPurr Collective (formerly CryptoSquad NYC) is a group of some tech-minded folks who are very jazzed about cybersecurity, cats, and helping folks out with their digital dilemmas. We offer workshops for activists, journalists, educators, and everyday folks who want to up their encryption game! Additionally, we offer personal security audits for groups/organizations who are concerned about their cyber-safety. Plus, we have some of the kewlest CryptoParties!